Wow. Faithful Catholics with homosexual inclinations are mentally ill.
Wayne Besen, executive director of Truth Wins Out, a group that campaigns on behalf of lesbian, gay, bisexual and transgendered (LGBT) people, accused the app of “helping to create neurotic individuals who are ashamed of who they are”. “This is cyber spiritual abuse that promotes backward ideas in a modern package,” said Besen. “Gay Catholics don’t need to confess, they need to come out of the closet and challenge anti-gay dogma. The false idea that being gay is something to be ashamed of has destroyed too many lives. 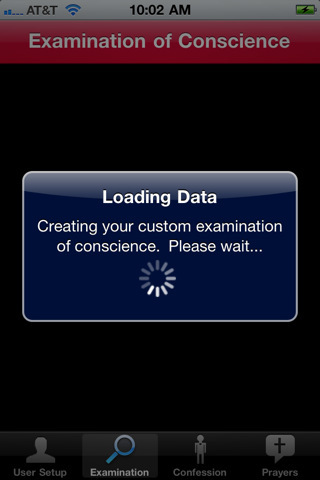 This iPhone app is facilitating and furthering the harm.” Read more here. Are there any homosexual activists who are capable of reasoned argument to support their cause? Because labeling someone as neurotic is so convincing and civil. I am too tired to discuss this right now. Take it away Fr. Z. This entry was posted in Culture Wars, Homosexual agenda and tagged apps, Gay, iPhone. Bookmark the permalink.